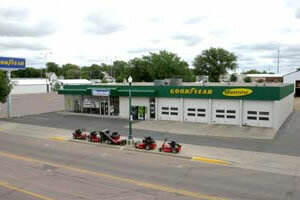 Graham Tire sold approximately 350,000 Goodyear, Kelly, Cooper, Michelin and Dunlop tires in its last reporting year 2004, and ranks as one of the largest independently owned tire dealership groups in the United States. We are proud of our heritage and work very hard to protect our excellent reputation. Get there the right way - give your vehicle the best care possible with service from your Goodyear Gemini Automotive Care Providers.